Photography is all about the light, probably even more than the subject matter. On this morning we had the best sunrise I've seen in quite a while. The eastern sky lit up and left me scrambling for a way to show it off. 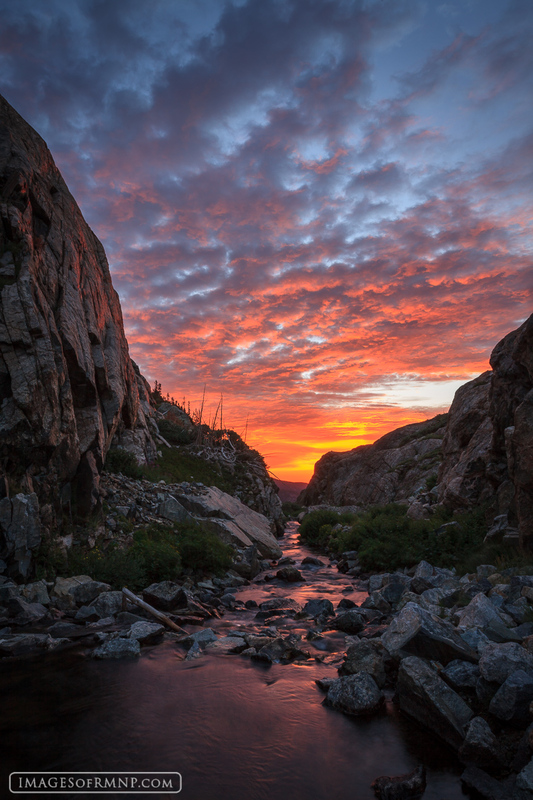 I crawled down into the gorge near Bluebird Lake and shot the stream heading towards the rising sun. Photo © copyright by Erik Stensland.